A friend of mine named Jochen who just started to take Japanese lessons wrote to me one day shivering in a rage. He was practicing Hiragana, or Japanese characters, when his teacher told him that he must learn the correct stroke order. But he found his teachers words to be trivial. 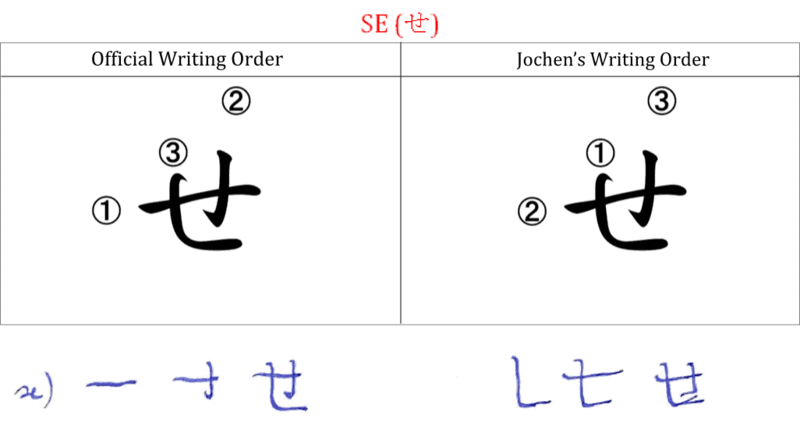 As a matter of fact, his completed Hiragana “SE” looks similar to the one written using the official stroke orders even though they are written in different ways. At first glance, his theory seems to be a nice argument. 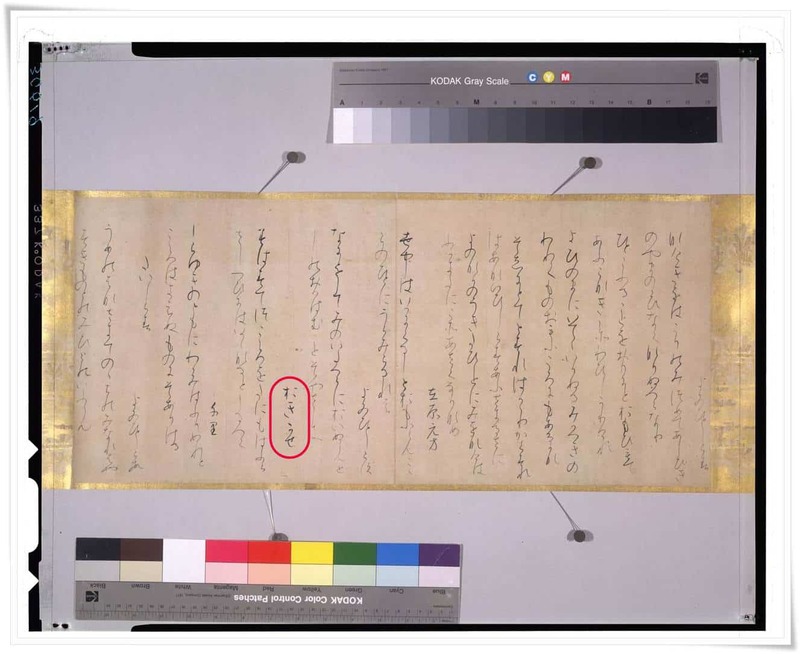 But if he starts to learn Japanese more deeply, he will soon recognize that the official writing order of strokes is more natural to write and therefore has its own logic. 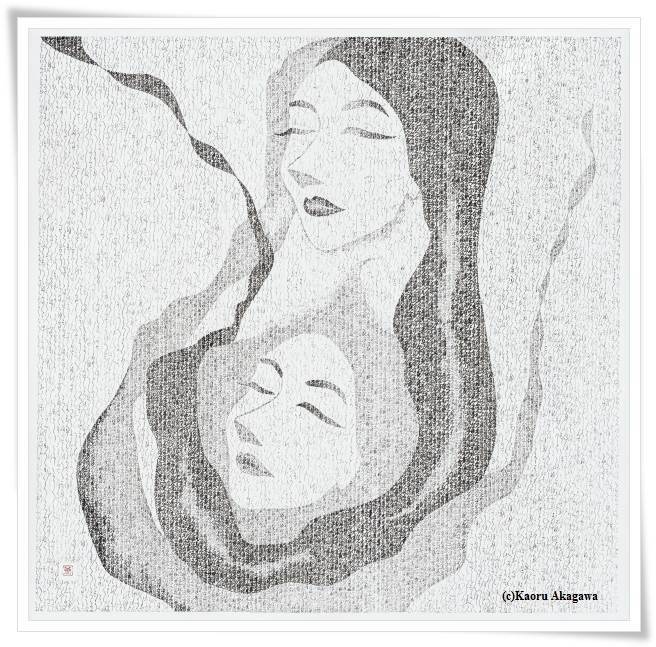 Kana-Shodo, The Calligraphy of Hiragana, is like dancing socially with a partner. Similar to a social dance, there are also steps and a tempo to the writing. To write the Hiragana “SE (せ)” enchantingly, you must follow the rhythm of a waltz. 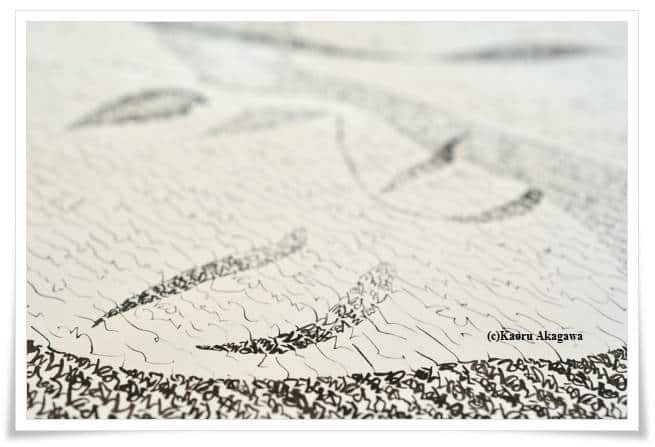 Consider the 3 separate strokes as 1 continuous line, only partly invisible, and imagine what kind of path your brush is following in the air and on the paper. The invisible lines between each stroke exist in your soul. Now, comparing the official stroke order and Jochen’s way of writing, it is obvious that Jochen’s waltz is rather complicated and tangled. 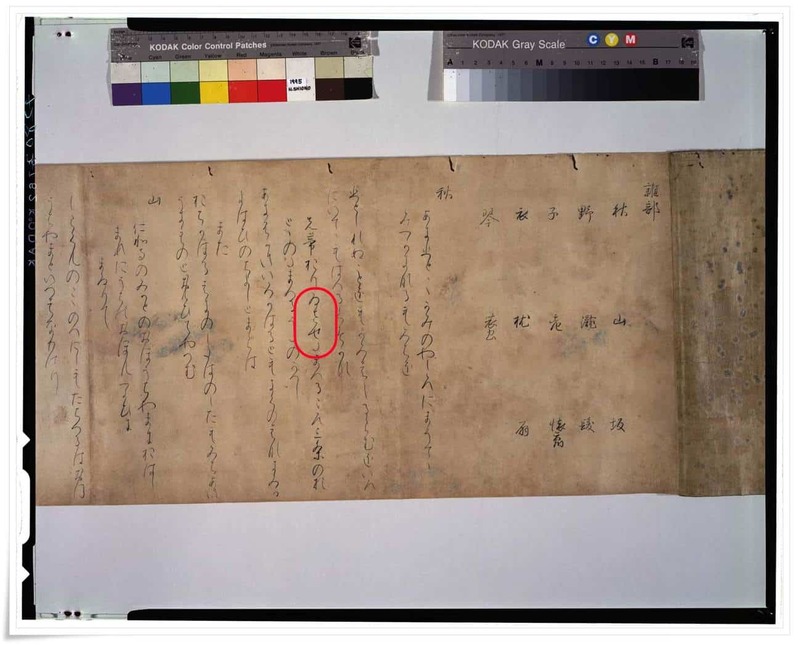 Additionally, Hiragana characters in Kana-Shodo are often written connected to each other. This is called Renmen (連綿). The places where Renmen lines are invisible is called Iren (意連), which means “ a connection of the soul”. 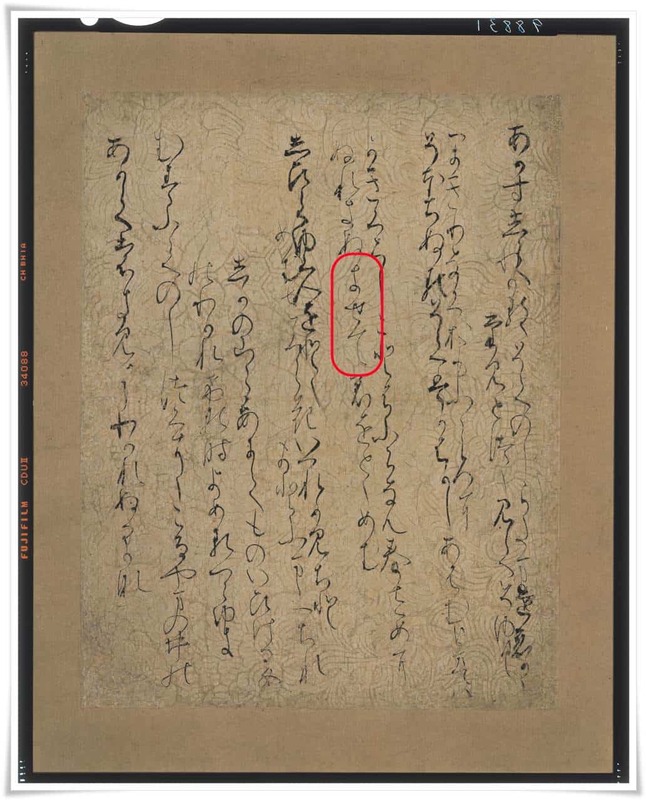 Here are some examples of Renmen from some famous Kana-Shodo masterpieces which include the character “SE (せ)”. Please pause for a moment and try to listen to the music streaming out from these masterpieces and feel the energy of the dance on the paper. Should you dance slowly down the paper to form a soft Renmen line? Is a wide sharp step with an accent more effective instead? Or should a connecting line stay invisible in the air as Iren? This is Kana-Shodo. To dance with your brush! So that’s why calligraphy and dance are similar. To embody beauty and enjoy expressing yourself, you cannot ignore the basics. Individuality comes only after one has mastered the basics. With continuous practice you will be free to express the passion or sorrow hidden inside yourself. In my art, Kana de l’Art, I often choose a piece of music as my topic in order to show this relationship between Kana-Shodo, music, and dance. The whole image expresses the scene which I imagined from listening to music. 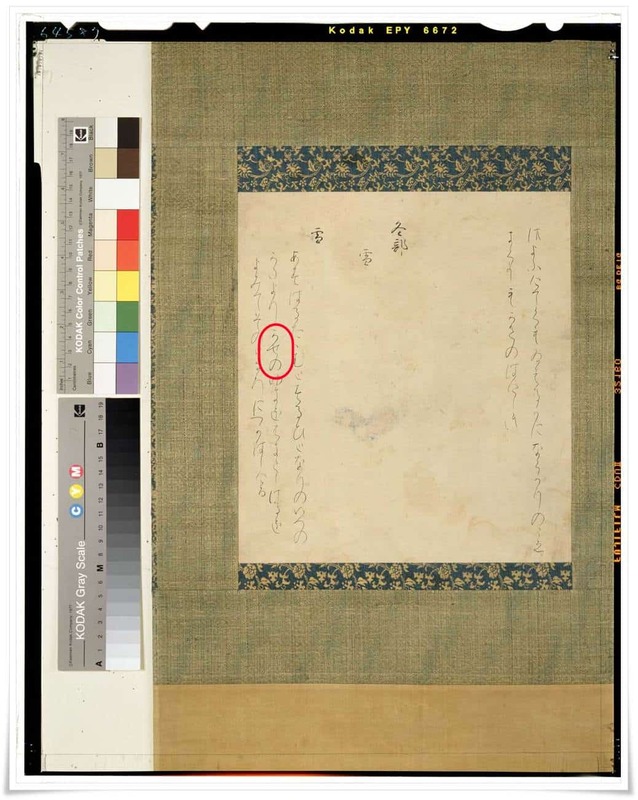 Moving in closely, you will see that the whole image is created with Kana-Shodo. It is my endless goal to express my soul through the dance with my brush.